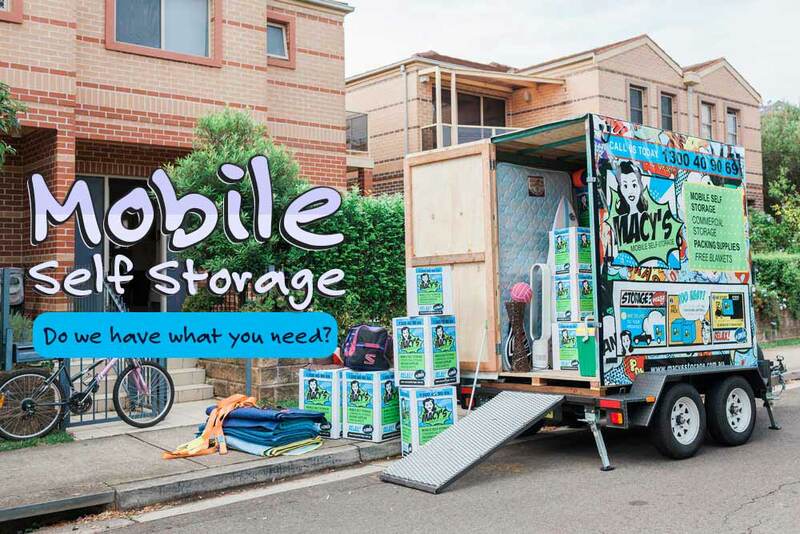 Mobile Self Storage – Is It What I Need? Looking for the perfect place where you can keep your items safe and secured whilst you’re away? Whether you’re having a move or just don’t have enough space at your place, Macy’s Mobile Self Storage is perfect for you! The packing, lifting and even dismantling are all tough tasks. And as experts, we understand your main concern is making sure your belongings and even products are protected. As well as even off from getting damaged whilst being stored. If that’s the case, then, Macy’s Mobile Self Storage is absolutely right for you! Aside from making sure that your items are in a cool, clean and secure place, your safety also matters. Good thing, Macy’s Mobile Self Storage has the best team who can perform various duties without putting anybody at risk. Before we provide services to our clients, we make sure that our staff are fully trained. And that’s to guaranty we can meet the clients’ demands. If you wish to give us a hand during the process, it’s totally fine. We will just make sure that you’ll have the easiest and lightest task because we’re the one who’ll do the tough tasks for you! Because we believe that you deserve what you pay for. Along with this, we also offer great discounts and deals to our loyal and potential clients. As well as different depot units that can totally satisfy your needs. There are many benefits that leasing storage units can bring to you. Our self storage facility is accessible all the time. So, whenever you want to access them, it’s absolutely fine. You also don’t have to worry about your items being stolen. Because our facility has security features that can keep your stuff intact whilst being stored in a unit. As mentioned above, we make sure that we provide the kind of privileges to every client that we have. No matter how long or short you want to have a depot in keeping your stuff, it’s not a problem! As long as we deliver convenience to you and save you from getting stress because that’s how our business work. And when it comes to your cost, we also got your back! You can find cheap depot units that’ll suit your budget on our facility that’ll also match your depot needs. With Macy’s Mobile Self Storage, it’s easy and simple to store your stuff. If you’re not sure how efficient and awesome it is to have, feel free to ask us! We’re glad to answer your concerns and questions about our depot units as well as our rates. Because we value you as our potential and loyal clients. Thus, we treat you like one. Our exemplary customer service is what makes us well-known in this business. When it comes to your complaints and suggestions, we guaranty that our lines are open to hearing them. This is one way to improve our services in keeping your belongings in a safe, clean and secured place. Macy’s Mobile Self Storage has a user-friendly website that has in-depth videos and testimonials to assist you through the process of packing, preparing and loading your stuff into our storage units. We even have the perfect team who’ll do the loading, unloading and carrying items along corridors. Macy’s Mobile Self Storage brings the storage unit straight to your door which makes the whole process simple. Just load it up, lock it up, and call us for a collection. Sounds great, isn’t it? You’ve not only saved time, but also effort and money. Still unsure? Well, you can visit our blog section for more information about our storage unit’s facility. You can also get tips and hacks if you prefer to have a do-it-yourself task. There are also helpful articles about our storage and how beneficial it can be to have it. Whether you’re planning to have a move, renovation, so on and so forth. So, what are you waiting for? Call us today and let us know what depot demands you need! This entry was posted in Moving, Packing, Storage and tagged Macy's Mobile Self Storage, mobile self storage units, Storage Solutions.